Does a Job Hurt Your Grades? 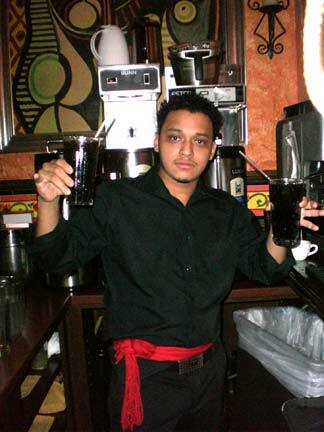 For Julio Lemos who works as a waiter after school and on the weekends in a restaurant in Washington, D.C., working and studying is a challenge. Many students work after school, so Silver International made a survey about students working after school. We wanted to know more about why students work and how working affects their school work. Many students need to work after school because they need to support they families and they life. Other students only work after school for extra money or just to buy special things. Of the ESOL students who returned our form, 48% of the students work after school. Seven years ago Silver International made a similar survey. In that survey about the same percentage of students (51%) had jobs. About the grades of those students, more than 70% of the students who worked got better grades than students who didn’t work after school. Mr. Victor Quiroz, an ESOL counselor, said it depends on the student. “Students who have bad GPAs have to put more focus into school and don’t need to work,” he said. “Kids need to make an important decision because it’s going to be bad if they have bad GPAs.” Mr. Quiroz said that it’s important to do better than only pass a course. “If they can get a good GPA, They may be able to get a scholarship,” he said.